Tips from the Addicts on Screenshots, Stitching, uploading, Flickr and much more as it pertains to getting the most out of TSTO! 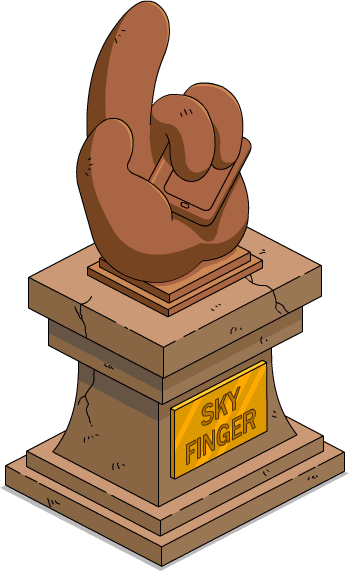 Super Safi’s Stats & Strategy Special: Springfield Heights 2 – Becoming a multi-billionaire! Super Safi’s Stats & Strategy Special: Springfield Heights 1 – Becoming a billionaire! 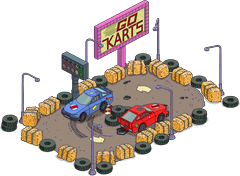 Today we look at the Go Kart Track. After a stressful week of work or school, the weekend is finally here. And what better way to spend the weekend than talking math. So every few Saturday’s, I’ll come to you with a post that delves into the wonderful world of numbers, stats, and/or strategies. 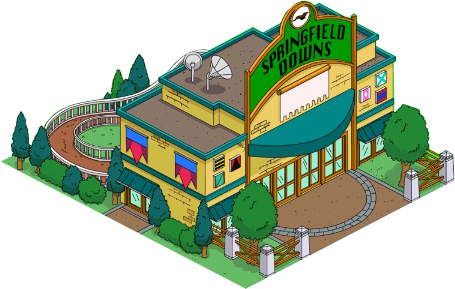 This week we look at Springfield Downs. From time to time we’ll get questions about a few things we may have covered wayyyy back when Addicts first started (nearly 4 years ago), which causes us to think maybe we should post about it again. This time apply things to how they work now. So, as many of you know, over the last week or so of downtime in the game I’ve been slowly posting highly requested posts to this site (i.e. Charts…how-tos etc) and I’ve also been doing some behind the scenes maintenance on the site to clean up some older areas and make things easier to find. Now that the projected down time is almost up (we’re thinking something will hit Tuesday Oct 4th), I’ve completed most of the additions and maintenance for this go round. So I invite you to explore the site, check out the changes…and be prepare for what’s next! 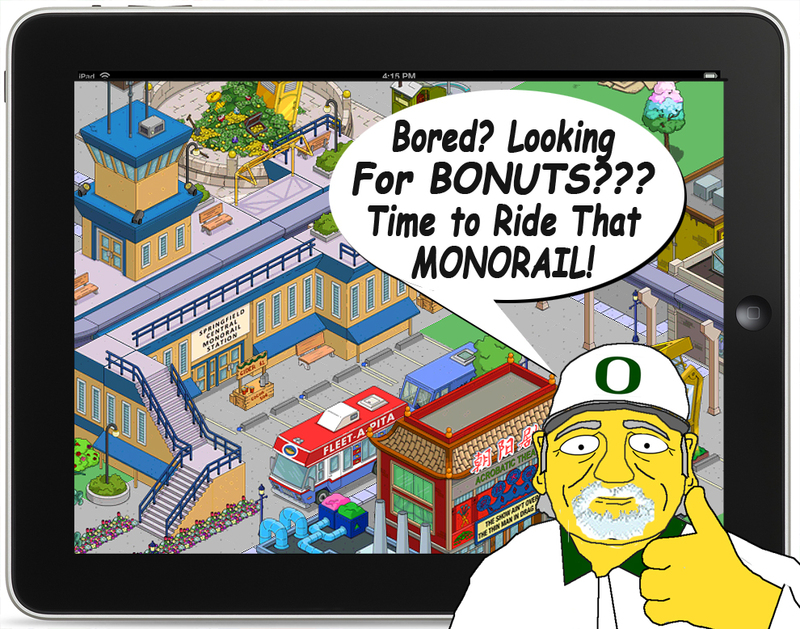 From the Mouths of Addicts: Kwik-e-Mart Farming for Free Donuts! Note from Alissa: So one of the popular requested items on my “what would you like to see on this site during the downtime” post was more details about Donut/XP Farming. 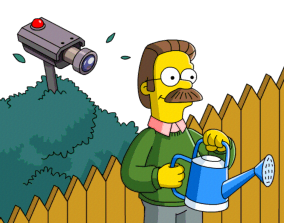 What it is, how it’s done…and what the heck Kwik-E-Mart Farming is. And of course everyone’s favorite site contributor…Safi…stepped up and offered to write up the post! With the recent release of Level 60 and the end of all levels, the games concept of leveling up has shifted slightly. Once you complete Level 60, you’ll be able to continue to level up to Level 61 and beyond. There’s just no questline, character, or building associated with those levels (Homerlayas excluded). Initially, you can level up from Level 61 to Level 100 each time you fill up an XP bar of 40k XP. You receive 1 donut for each time you level up, for a total of 40 donuts. You can then continue to level up from Level 100 to Level 939 each time you fill up an XP bar of 500k XP. You receive 1 donut for each time you level up, for a total of 839 more donuts. Beyond Level 939, your Level does not go any higher. However, each time you fill up an XP bar of 1 million XP, you have the opportunity to choose one of three boxes for a chance at 1, 2, or 3 free donuts. So there is potential for premium and freemium players alike to score thousands of free donuts as a result of leveling up by continuously filling their XP bar. Tagged how do I get free donuts in tapped out, Tapped Out Free Donuts, Tapped Out Tips and Tricks, The Simpsons Tapped Out, TSTO Addicts, TSTO Donut Farming, TSTO Tips and Tricks, TSTO XP Farming, What is Kwik-e-mart farming? Mega Mono or Mono Mono…It’s Your Call! I think it would be safe to say that I am in the latter camp. From the earliest days of my youth, back in a time when you had to make your own toy building blocks out of the tree that you had to cut yourself, after walking nine miles barefoot into the woods, I have enjoyed building things. It would be accurate that the “building things” and designing, and redesigning, and tweaking your design, is the very reason I tap. Yes. I love the Simpsons. Yes. I like the dialogue. Yes. I think Maggie is “oh, so, cute!” But, the real reason I play, is that TSTO gives us so many ways to build, and decorate, and create. This aspect of my personality came out early in life when I began model railroading. I’ll let that settle in. Yes. This CrankyOldGuy has boxes of HO track, rolling stock, and buildings, ready to set up at a grandchild’s notice. I like building things…and then watching them run. Which is why the MONORAIL IS THE BEST UPDATE TO EVER… Oh. Wait. We already covered that bit. But, even for those of you who are less than enthusiastic about grinding for track, there is a HUGE reward! !